Getting arrested is scary and stressful. First off, don’t panic. Your only focus right now should be securing your release from jail. The bail bond professionals at Anytime Bail Bonding, Inc. are available 24/7/ to assist you. Our Lawrenceville Bail Bonds is located at 771 Buford Drive, Lawrenceville, GA 30043. A bondsman is available now at (770) 339-9000! A bail agent with Lawrenceville Bail Bonds will explain the bail bond process in detail and help you navigate getting your loved one out of jail. Your bail agent will first ask some basic questions and will need the following information on the defendant: date of birth, arresting charge, jail being held (county, city, state), arresting agency, booking number and bail amount. Our bail agents go to work on the case right away to get your loved one released in a timely manner. For a small non-refundable fee (12 to 15 percent of the total bail), Lawrenceville Bail Bonds can secure release from jail for your loved one without having to post the full amount of the bond with the court. Some additional fees may apply. We handle all types of bail bonds, large and small, to include traditional and immigration bonds. For large bonds, Anytime Bail Bonding, Inc. can offer payment plans and take additional collateral, such as real estate, to secure the bond. We understand that time is of the essence and can help you with affordable bail bonds in Lawrenceville. A bail bond is a contract with the defendant, and/or their indemnitor, and the bail bond company. 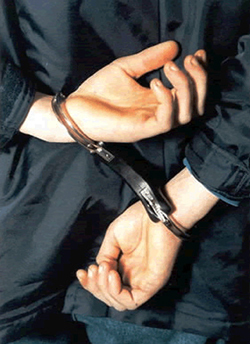 A third-party indemnitor is someone who guarantees the bail bond on the defendant’s behalf. A bail agent is then financially responsible for ensuring the defendant attends all required court hearings until disposition of their case. It is important for the defendant and a bondsman with Lawrenceville Bail Bonds stay in touch during the case to share updates and upcoming or recent court dates. When to Contact Lawrenceville Bail Bonds? Anytime Bail Bonding, Inc. has proudly served the Lawrenceville community for over 20 years. Our bail agents are dedicated to their profession and ready to secure your release as soon as possible. The sooner we start, the sooner you or your loved one goes home. So call us today at (770) 339-9000!